We offer all aspects of Hair & Beauty to ladies men Teenagers & Toddlers. We specialis in Designer colours – Vivid colours – Designer styling cutting & also specialising in hair up – airbrush make up – hair extensions – spray tans – nails- pedicures – shellac manicures wax – facials. Hair-care & Accessories are available that you will leave the salon feeling pampered, relaxed and comforted with lots knowledge about your needs. Our philosophy and key objective at Angela’s Mane Attraction is for the crew and the clients to enjoy the AMA experience. We feel it is important to be sensitive to our clients needs and to cater to the individual. Our crew describe themselves as eclectic and “creative” meaning we can make the client feel and look good as well as providing informed advice on products. Angela’s Mane Attraction has risen to the top of cutting-edge hairdressing, having become well-known for our passion for hairdressing. 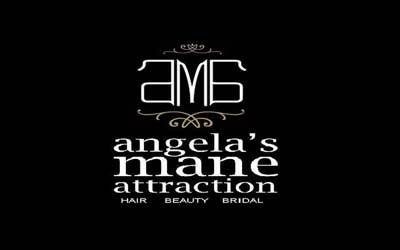 Here at Angela’s Mane Attraction client’s needs are paramount. Our clients are regularly consulted to their needs and requirements via client questionnaires. 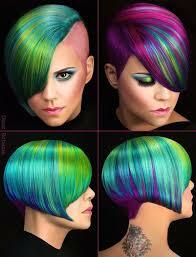 Salon policies and services provided are often amended due to the result of feedback we receive. We have not only built up a tremendous reputation with clients, we have also achieved awards and accolades through our dedication and hard work. We are passionate and dedicated to generating a place of greatness to make your experience at the salon, one that you will always remember. All appointments outside normal business hours are by appointment only.